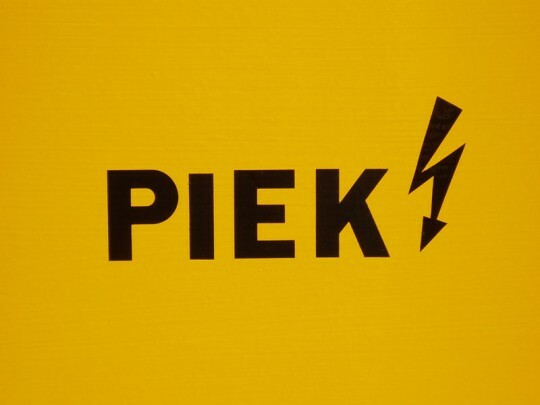 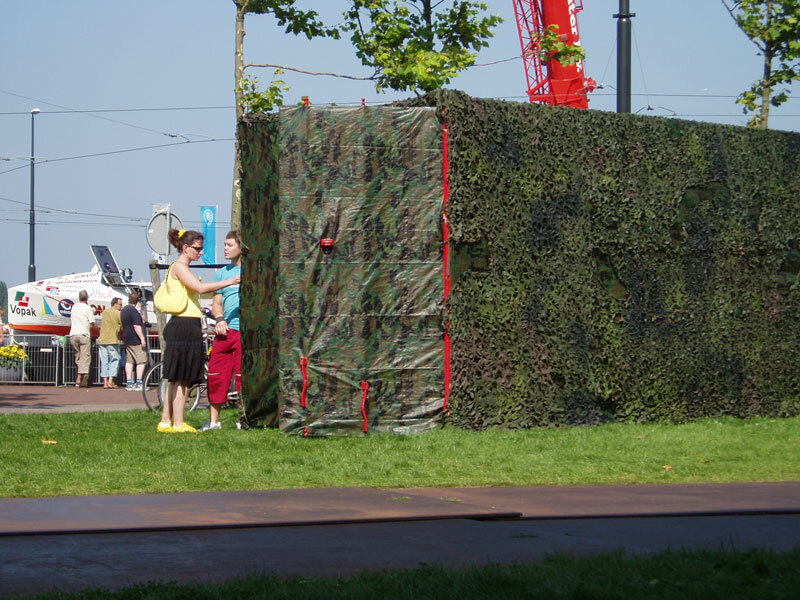 For SAIL 2005, PIEK! 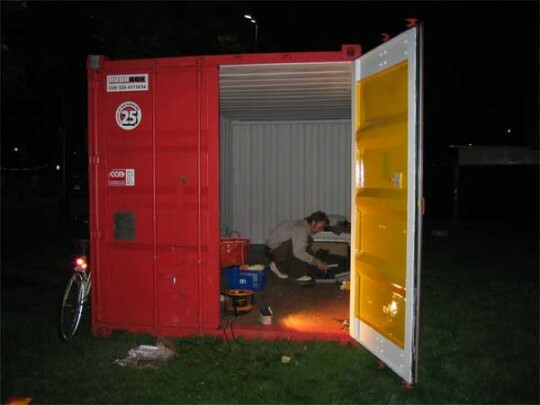 made ‘Container’. A sea container is camouflaged at the outside. 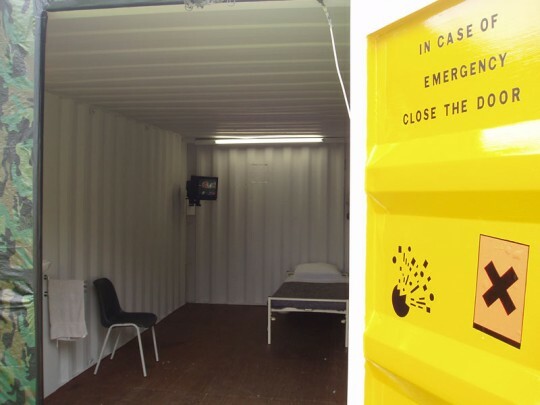 Inside, the container is decorated with a simple bed, a chair, a fountain, a television (with an episode of ‘Love Boat’ playing) and a gas mask. 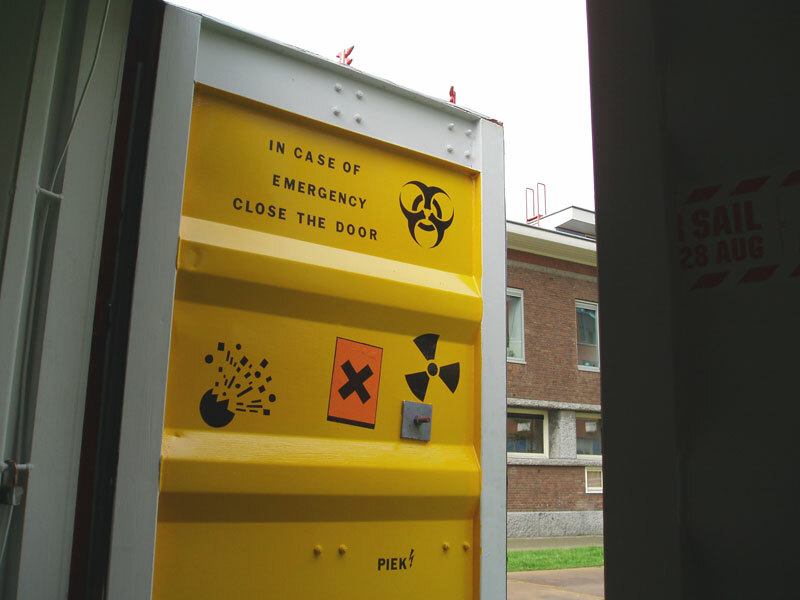 There are all kind of warning signs on the door. 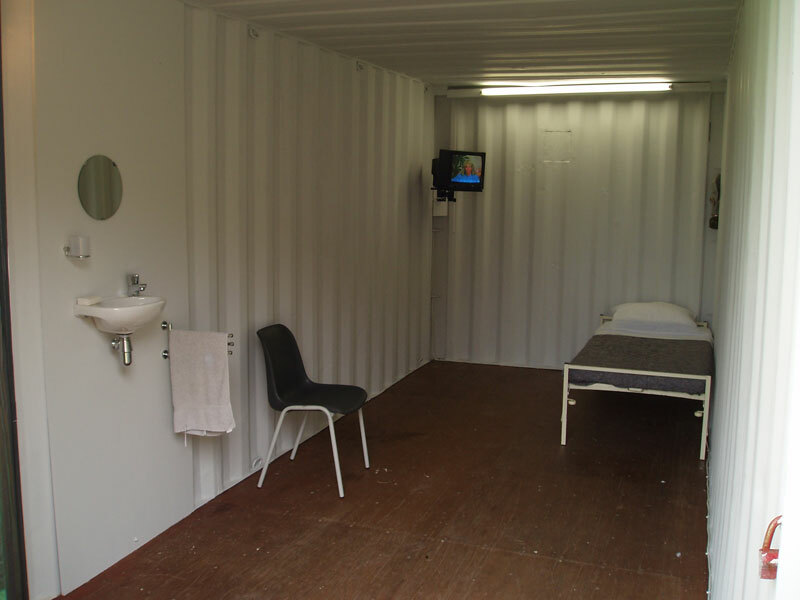 It could be a ‘safe bunker’ as well as a prison cell. In times of terrorist attacks or only the thread of one, a safe place becomes a isolated place. 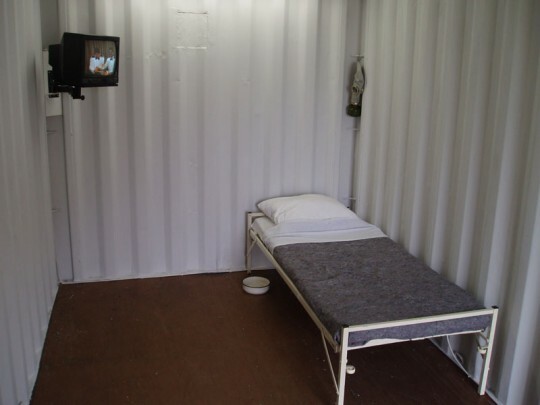 People feel imprisoned in a way. 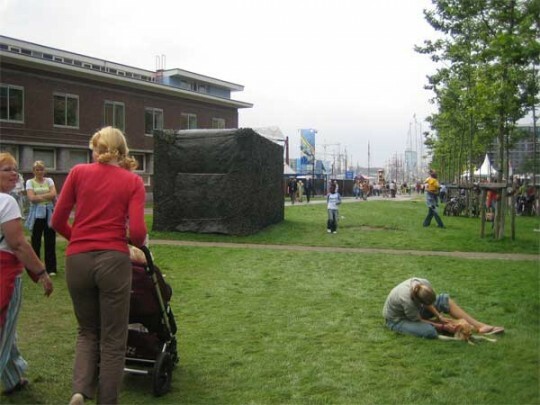 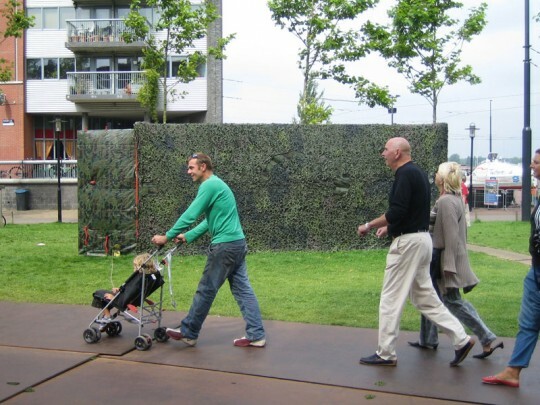 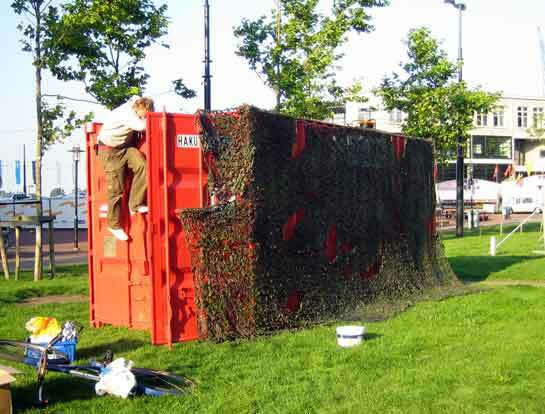 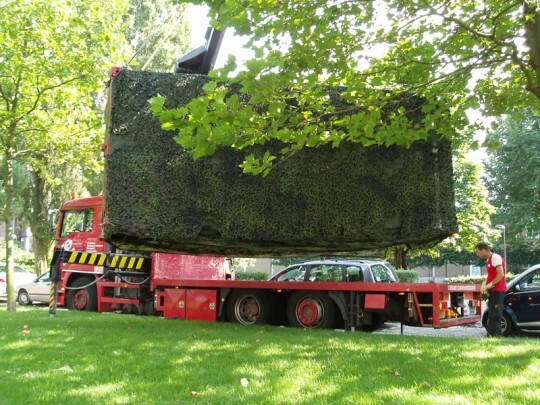 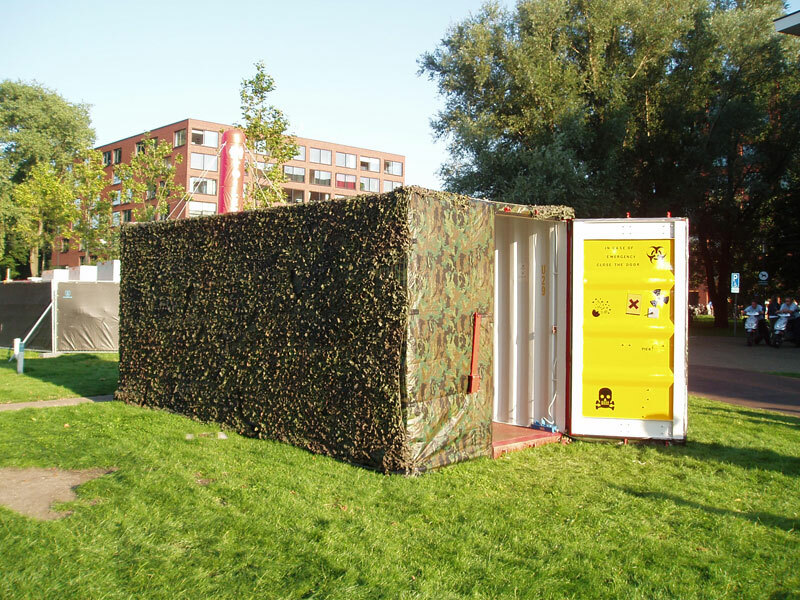 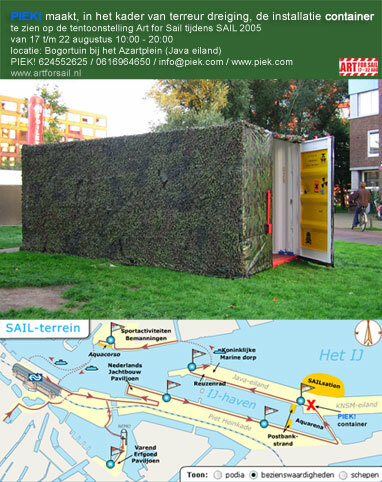 The ideabehind ‘Container’ originated after the major of Amsterdam officially stated that there is NO thread of a terrorist attack during SAIL 2005.